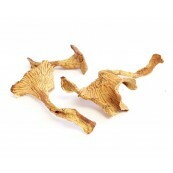 Dried Chanterelles - 2 oz. 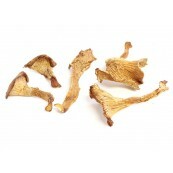 Dried Chanterelle mushrooms have a lovely aroma that can be described as fruity and apricot like. 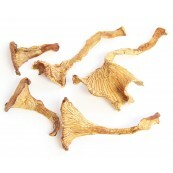 These rare mushrooms have a taste that can be described as fruity and nutty with peppery notes. Weight: 2 oz. 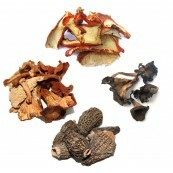 Pieces: Whole Package: Polyethylene bag Pleasant Aroma Fruity Notes. 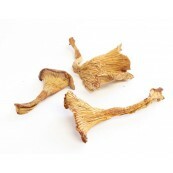 Dried Chanterelles - 1 oz.